Ever since its release in the 2013 model year, the Mazda CX-5 has captured the hearts of drivers and industry experts alike. Innovative from the start, the CX-5 was Mazda’s first vehicle to display the brand’s KODO: Soul of Motion design and offer the full set of SKYACTIV® technologies. The CX-5 entered its second generation for the 2017 model year, “adding a quieter, more refined interior, sharp new exterior, and retaining its fun factor,” Motor Trend noted. 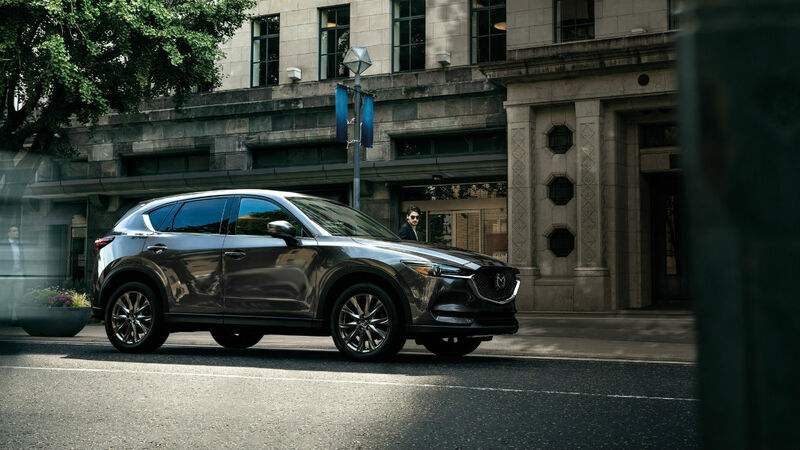 Tech features on 2019 Mazda CX-5 include smart all-wheel drive, along with a wealth of comfort, convenience, and connectivity features. It also offers a comprehensive suite of i-ACTIVESENSE® safety tools, including Blind Spot Monitoring, Advanced Smart City Brake Support with Pedestrian Detection, and Mazda Radar Cruise Control with Stop & Go. With the 2019 Mazda CX-5, it’s easy to see why a legion of drivers have made the jump to Mazda and haven’t looked back. Come see why you should make the switch when you check out our lineup at El Dorado Mazda.